As most of you know Mark Craighead, owner and designer of Crossbreed holsters, passed away last Friday from a heart attack. 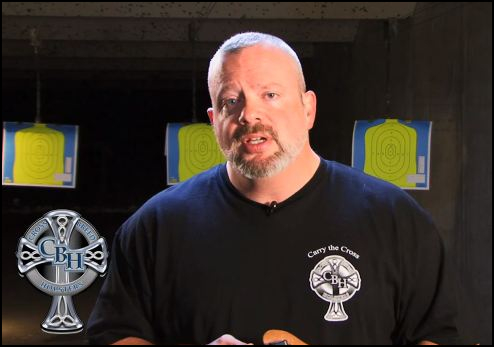 Mark has made a great number of contributions in the firearms world with his very innovative holsters as well as his many other activities most people aren’t aware of. Anyone who keeps track of what’s new in our hobby know about his holsters but many don’t know what a fine man he was. He not only made one of the best concealment holsters you can buy he was also a contributor to many charities and was very active in the protection of our second amendment rights. He was also a fine family man who’s loss will be felt for a long time. Mark started his business about three years ago from his home in Republic Missouri. Republic is a small town in southwest Missouri a stones throw from where I grew up in Springfield. I’ve spoken to Mark a good number of times and I’ve never known anyone who was as dedicated to his customers as he was. He always went that extra mile to ensure his customers got what they needed. He would even call customers himself which is rare these days. Mark was too young to leave us but then God sure has a great guy with him! I’ll miss him. My prayers are with his family and those who’s lives he’s touched.